Can Stretches Help Reduce Back Pain? 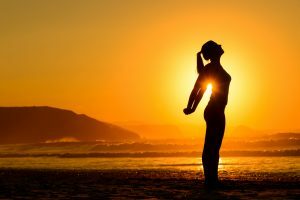 As a patient suffering from back pain, western medicine may choose to treat back pain with a number of solutions. In some cases, a traditional doctor may make the determination that treating symptoms may be the solution the the pain you have endured. Although this may help, it may not necessarily solve the problem, especially in the long run. Chiropractors in Norridge, IL work to resolve back pain utilizing a different approach. 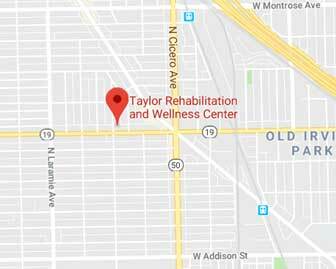 In fact, there a variety of ways Taylor Rehabilitation and Wellness Center may work with patients to manage their symptoms and treat the root of the problem. Many skeptics may wonder how this approach may actually help. Interestingly enough, chiropractors access a variety of solutions to manage pain. The truth of the matter is, stretching really can help provide the perfect compliment to treating back pain. This is especially true when used in combination with traditional adjustments to the spine. Accessing the support of an experienced Norridge, IL chiropractor can make all the difference when treating the root of the pain you are experiencing. Many do not realize that rather than treating the symptoms that the patient may be presenting, a chiropractor looks to treat the entire body. There are a number of ailments that a chiropractor in Norridge, IL may treat. Through treatment of the musculoskeletal and nervous systems, adjustments administered can help manage symptoms a person may be suffering. At Taylor Rehabilitation and Wellness Center we can work closely with you to treat the source. We will not only work with you to develop your treatment plan, we will also collaborate with your care providers. While stretches can be conducted in the office, it’s likely your chiropractor in Norridge, Illinois may recommend that you regularly stretch in the privacy of your own home. Some patients may even find that practicing yoga may also be beneficial and offer long term benefits. Our chiropractor office offers our patients with many years of combined experience. At Taylor Rehabilitation and Wellness Center we are well aware of the frustrations that can come with chronic back pain. Sometimes, with endless pain, a solution can feel miles away. Allow for our compassion and experience in helping patients find relief assist you in obtaining the treatment you need and, deserve. Contact a chiropractor in Norridge, IL today to schedule a consultation so that we can determine if chiropractics is the right treatment for you.